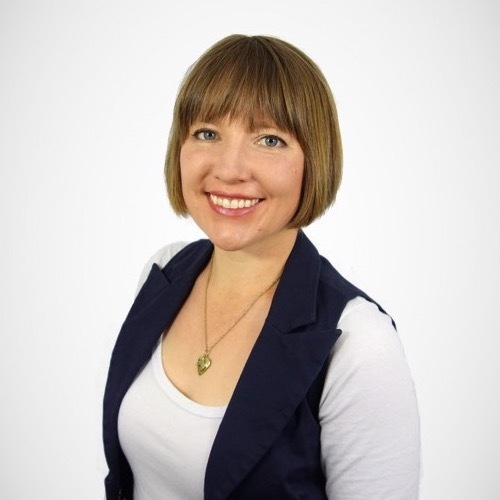 Yesterday, I gave a workshop to the lovely ladies at the Maroochydore Red Cross Blood Donor Service and it’s prompted me to share some of that information here. The topic of the workshop was a big one: Stress, Anxiety, and how acupressure can help. Acupressure and acupuncture are similar in many ways, yet quite different. 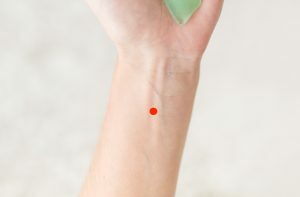 Acupressure is simply the technique of applying pressure to traditional acupuncture points. 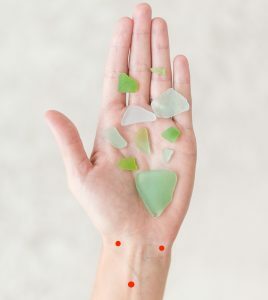 Generally speaking, the effects of acupressure are much milder than those of acupuncture, however it is a wonderful technique that you can do anytime, anywhere (once you know the points). Use your thumb, finger or other blunt tool (like a pen) feels to apply pressure to each point. Pressure can be applied directly, or each point can be massaged in a circular motion – do whatever feels right for you. Stimulate each point for as long as feels good for you – most people find 30 second to 2 minutes manageable for each point. Inhale deeply, and focus on the point while applying acupressure to yourself. You might like to imagine light or energy surrounding the point. Here are two of our favourite point combinations to combat stress and anxiety. This is a gorgeous three-point combination that we use in clinic a lot. Combined, these three points are classically indicated to help ease the breathing, reduce anxiety, improve insomnia and to help ground you. Location: On the inside of your forearm, between the two major tendons you can see when you make a fist. 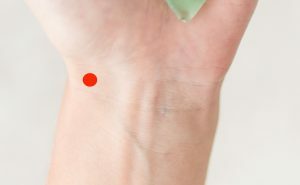 To find this point, use your other hand to measure three finger-widths from your wrist crease, and the point is here between the two tendons. Classical indication: frees the chest, calms the spirit and reduces nausea. Location: On the inside of your wrist, just on the inside of your pisiform bone on the wrist crease. To find this point, feel along the main wrist crease from the middle toward your little finger. When you find the large tendon about level with that finger, stop – the point is just to the inside of that tendon. Classical indications: calms the spirit, improves palpitations (heart flutters), calms feelings of fear and anxiety. Location: Level with Heart 7, but on the other side of the wrist. 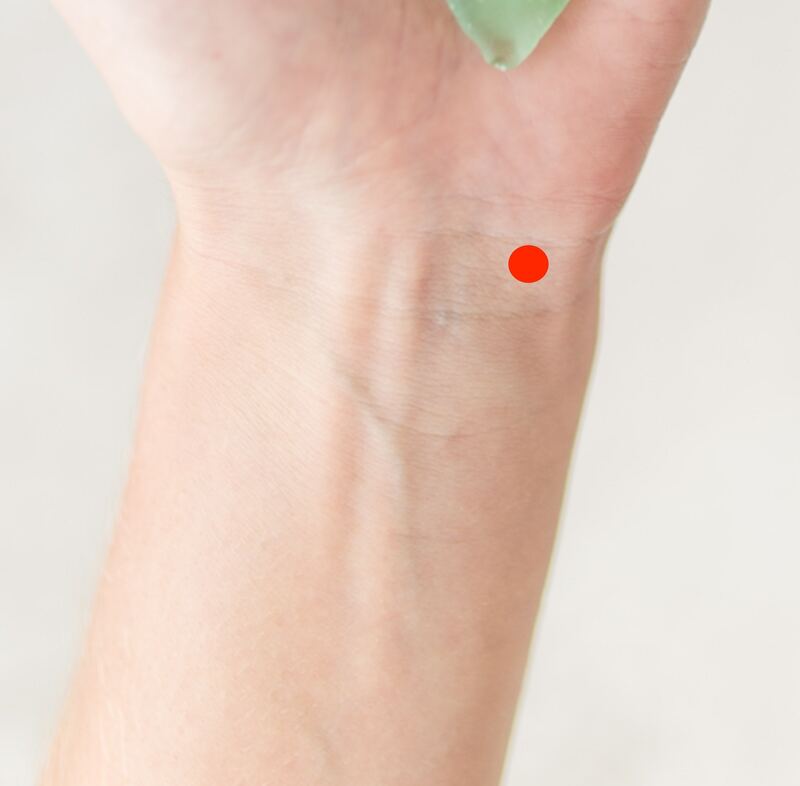 This point is found just to the outside of your radial pulse. Classical indications: promotes proper lung function, eases breathing, frees the chest. This point combination is a really powerful one that really helps to get the energy (Qi) moving around the body. These points are great for pain, headache and general feelings of tension, stress, irritability and overwhelm. 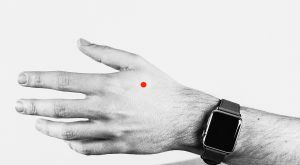 Location: Between the forefinger and thumb, about halfway along the hand bone that connects to your pointer finger. Roll off the bone into the fleshy part between the forefinger and thumb, and dig around for a sore spot (you’ll find it!). Classical indications: regulated the immune system, regulates the face to help headaches, jaw pain, toothache & sinus pain. Classical indications: soothes irritability and anger, improves headache, clears the head and eyes, helps to regulate menstruation. So there you go! Two point combinations we use a lot in the clinic to help combat stress and anxiety. Enjoy using these points anytime you think or feel like you need them. Do you need a slightly stronger treatment to help reduce your stress or anxiety? Get in touch with us today or book in now with us to have a chat.